POTENTIAL TO EXTEND SUBJECT TO PLANNING PERMISSION. Michael Anthony are pleased to offer this very well presented three bedroom semi detached house situated on the popular Hartwell Development. 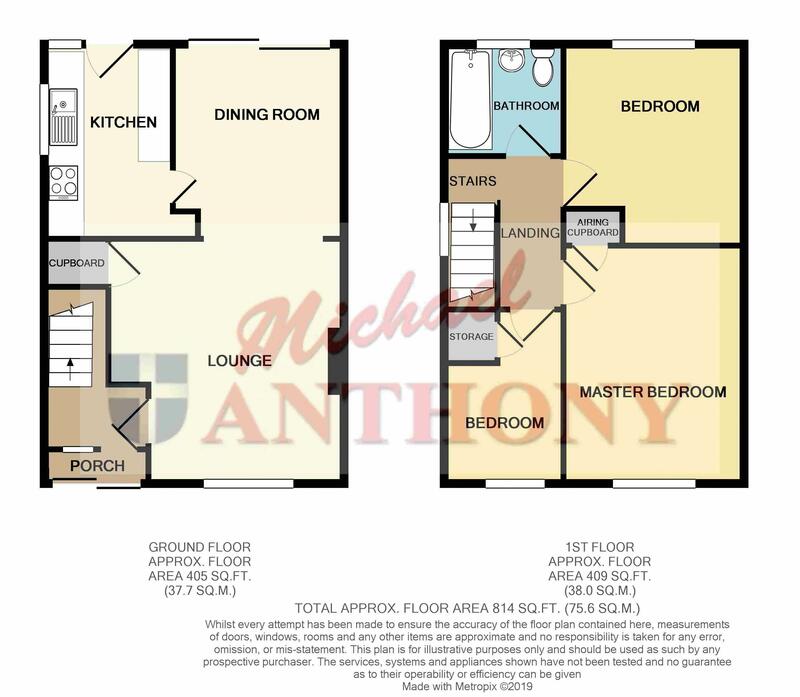 Accomodation comprises; Entrance hall, lounge, dining room, refitted kitchen, three bedrooms, family bathroom and driveway parking leading to single garage. Call 01296 433666 for further information or to arrange a viewing. UPVC double glazed window to the front, radiator, fireplace with inset gas fire, understairs storage cupboard, television aerial point. UPVC double glazed sliding patio door to the rear garden, radiator. UPVC double glazed window to the side aspect, UPVC double glazed door to the rear garden, range of storage units at base and eye level, rolled edge work surface areas, space for cooker, dishwasher, washing machine and fridge/freezer, wall mounted gas boiler, single drainer sink unit with mixer tap. UPVC double glazed window to the side, doors to all rooms, access to loft space. UPVC double glazed window to the front, radiator, built in wardrobes, door to airing cupboard, television aerial point. UPVC double glazed window to the front, radiator, built in cupboard. Frosted UPVC double glazed window to the rear, radiator, low level wc, pedestal wash hand basin with mixer tap, panelled bath with shower attachment and glass shower screen. Single garage with metal up and over door, power. Driveway parking leading to the garage, lawn area, pathway to the front door. Private enclosed south facing garden, mainly laid to lawn, patio area, gated side access.